The first return of NBA All-Star votes sparked plenty of conversation, with LeBron leading, Giannis soaring and Zaza fans trolling. The NBA released the first round of fan voting results for the 2017 All-Star Game, and the names at the very top of the list—Cleveland’s LeBron James in the East and Golden State’s Kevin Durant—were hardly surprising. But there was intrigue to be found throughout the rest of the returns, which will help decide the starting lineups for the league’s midseason showcase, set for New Orleans on Feb. 19. Let’s dig into those selections with five quick takeaways. Please resist the temptation to panic over the inclusion of Pachulia, who made headlines last season when he fell just 14,000 votes short of supplanting Leonard and earning a starting spot in the West. The Warriors’ new center nearly crashed the party last year thanks to support from his home country of Georgia and some ballot box-stuffing Internet tricksters, and he’s back again this year. 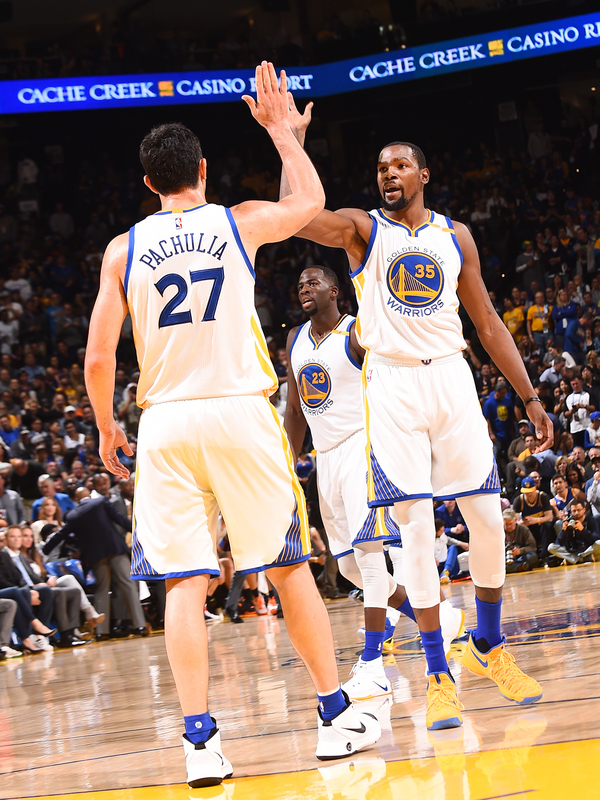 Remarkably, Pachulia pulled down 439,675 votes, the eighth-most in the league, thereby blocking the likes of Anthony Davis, Draymond Green and DeMarcus Cousins from squeezing into a starter’s spot. The good news: Everyone can laugh about Pachulia’s supposed “popularity” without worrying too much about him stealing a spot from a more deserving candidate. NBA commissioner Adam Silver and company saw this viral campaign coming and announced changes to the voting process back in December. This year, the fan vote will only count for 50% of the overall selections, with 25% going to players and the last 25% going to media members. In other words, Pachulia’s selection will almost certainly be diluted once the other voting blocs weigh in. This week’s Sports Illustrated cover boy, profiled brilliantly by Lee Jenkins, is easily the biggest winner of this year’s returns. Antetokounmpo is in the midst of an incredible breakout season, posting the highest Player Efficiency Rating of any age-22 player during the three-point era, sinking the Knicks at the buzzer in Madison Square Garden on Wednesday, and keeping the Bucks on track for a playoff spot. There’s no “delay” effect between Antetokounmpo’s breakout and his national popularity in the fan vote, even though he plays in a small market. Antetokounmpo pulled in 500,663 votes, ranking seventh overall and third among players who don’t play for Golden State or Cleveland (trailing only MVP favorites James Harden and Russell Westbrook). Remarkably, the “Greek Freak” pulled in more than 19 times as many votes this year compared to last year’s first ballot. Welcome to superstardom. 1. 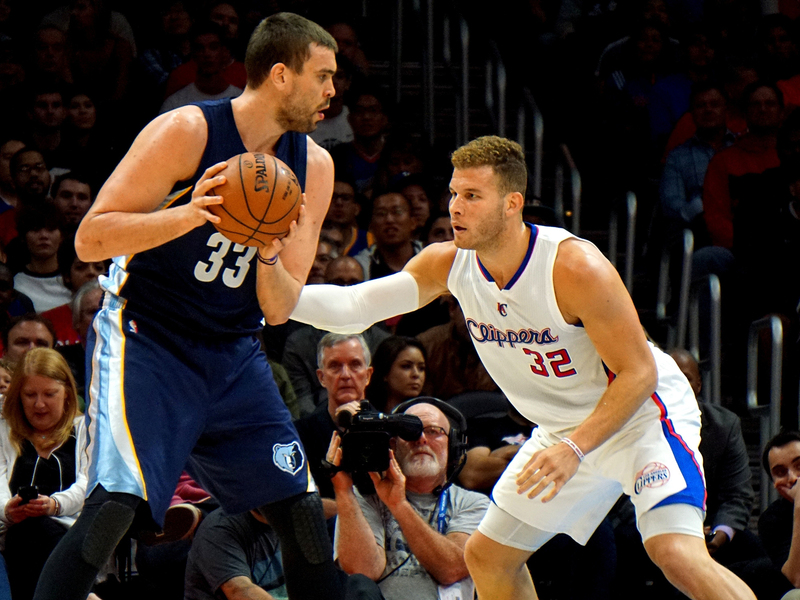 Marc Gasol, Grizzlies: A top-eight MVP candidate and a strong pick for All-NBA First Team center, the Memphis big man received fewer than 100,000 votes, ranking 10th among bigs in the West. That’s a travesty. 2. Kyle Lowry, Raptors: He received fewer votes than New York’s Derrick Rose and roughly half as many votes as his less deserving teammate DeMar DeRozan. On merit, Lowry should be a starter for the East. 3. Jimmy Butler, Bulls: A strong All-NBA second team candidate, Butler finished sixth among the East’s frontcourt (behind less deserving candidates like Joel Embiid and Carmelo Anthony) and he received 90,000 fewer votes than his teammate, Wade. There’s a good chance the wrong Bulls player will be starting in New Orleans. 4. Draymond Green, Warriors: A Defensive Player of the Year favorite, Green scored 213,000 fewer votes than Pachulia, a gimmick candidate, to finish fifth among West frontcourt players. 5. Chris Paul, Clippers: Although Paul was almost certainly going to get squeezed out of the West’s starting backcourt thanks to the three-headed monster of Curry, Harden and Westbrook, the fans didn’t give him nearly enough credit for his strong opening work. Paul pulled in just 173,000 votes, less than half as many as the West’s top backcourt vote-getters. Overall voting was way up this year: Fans cast most than 11.1 million in the first ballot this year, more than double last year’s total of 4.6 million. Most of the NBA’s major headliners—including James, Durant, Harden and Leonard—therefore saw a large increase in their vote totals. Harden, in particular, enjoyed a major bump, drawing more than three times as many votes this year compared to last year. Irving, who was sidelined with an injury to open last season, also saw his early vote total more than triple. Always a fan favorite given his ball-handling ability and shot-making prowess, Irving took things to a new level in the first fan vote since he captured his first championship ring, ranking second overall behind James with more than 543,000 votes. One superstar whose popularity has stalled: Curry. After eclipsing James in last year’s final vote tally, the two-time defending MVP fell to fourth in this year’s first ballot, trailing James, Irving and Durant. His early vote tally of 523,597 votes was up less than 3%. By contrast, Durant, his new Warriors teammate, enjoyed a 35% increase. Finally, four notable All-Stars from years past actually drew fewer votes this year compared to 2016’s first ballot. Those players: Indiana’s Paul George (down 145,000), L.A.’s Blake Griffin (down 81,000), Chicago’s Wade (down 22,000) and Washington’s John Wall (down 15,000). It’s worth noting that Griffin is currently injured, Wade moved from Miami to Chicago in the off-season, and George and Wall both play for teams that got off to slow starts. This year’s returns feature a number of close races: Love leads Philadelphia’s Embiid by just 29,000 votes for the final East frontcourt spot, Wade tops Toronto’s DeRozan by just 25,000 in the East backcourt, Leonard leads New Orleans’ Davis by just 23,000 in the West frontcourt, and Curry, Harden and Westbrook are all within 22,000 votes of each other in the West backcourt. Any of those races could see players changing places in next week’s second round of tallies. The downside to the new voting setup, however, is that these horse races don’t matter quite as much. Per FoxSports.com, the actual vote totals won’t count in the final calculation for starters, only the positioning. In other words, running up the score to claim the last spot in a specific group—like the third spot among East frontcourt players—won’t matter unless that player also fares well among the media and player voting blocs. Last year’s vote generated some real intrigue, as the Pachulia/Leonard, Lowry/Irving and Anthony/Pau Gasol races all went down to the wire. This year, the “Get out the Vote” campaigns on the final days of ballot casting probably shouldn’t be conducted with quite the same level of urgency.